Royal Weddings are a big deal. They're not necessarily important in the bigger scheme of things, but they capture the imagination of many people, which is more than enough reason to cover it, without embarrassment or apology. Still, drawn to a feel-good story with both Disney princess underpinnings and a rare American connection, the sheer volume of coverage is extraordinary, both in the run-up to the event and the big day itself, demonstrating that in the modern media age, anything worth doing is worthy of overkill. Because the United States lacks its own Royal Family, the fit can also be somewhat awkward, with much of the coverage falling perhaps closer to the Kardashians than the Kennedys. No less than a dozen networks scheduled specials in advance of the nuptials of Prince Harry and Meghan Markle, including NBC, ABC, PBS, Fox, Lifetime, TLC, BBC America, National Geographic Channel and Smithsonian Channel. BBC America alone will air 14 different specials throughout the week. 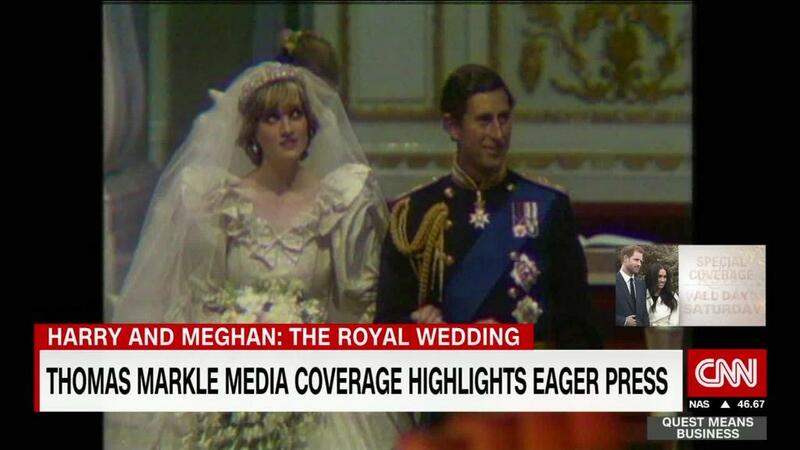 That's not counting the cable news networks (CNN, naturally, among them), or the Lifetime movie, "Harry & Meghan: A Royal Romance," which the network is repeating Friday along with its earlier Royal romp, "William & Kate," a 2011 movie about their courtship. At this point, about the only thing missing is an Animal Planet special about the best place to watch the wedding with your dog. Then again, the week's not over. Most of the coverage is dutifully enthusiastic, but some of it contains a bit more edge. TLC, for example, is offering "Prince Harry: Wild No More," which promises a look at his "progression from wild child to a modern Prince Charming!" HBO, meanwhile, will turn Will Ferrell and Molly Shannon loose on the coverage as Cord and Tish, mirroring their satirical emceeing of the Rose Parade, which duped some unsuspecting Amazon subscribers. Those wanting to experience the wedding with an audience will also have options, with Fathom Events offering the chance to watch in theaters, albeit for a fee (around $10) and on a delayed basis. The networks will be dispatching their big guns, anchor-wise, lead by the teams at morning programs like "Today" and "Good Morning America," which will deliver marathon coverage of the event beginning early Saturday morning. NBC, for example, has blocked out 6 ½ hours of coverage, fleshed out with everything from fashion experts to historians to Princess Diana's former bodyguard. "Today" executive producer Libby Leist told Variety the show was seizing "the opportunity to go big" on the wedding, which seems like something of an understatement. Not to be outdone, ABC News has also been touting an "augmented reality experience" -- really just a fancy way of saying that you can snap a selfie against a backdrop that looks like you're in England with a royal guard, trying to inspire people to download the news app. Everyone wants a piece of the action, and the diffused nature of media justifies the rationale that underlies piling on even for what amounts to a relative sliver of the overall ratings pie. 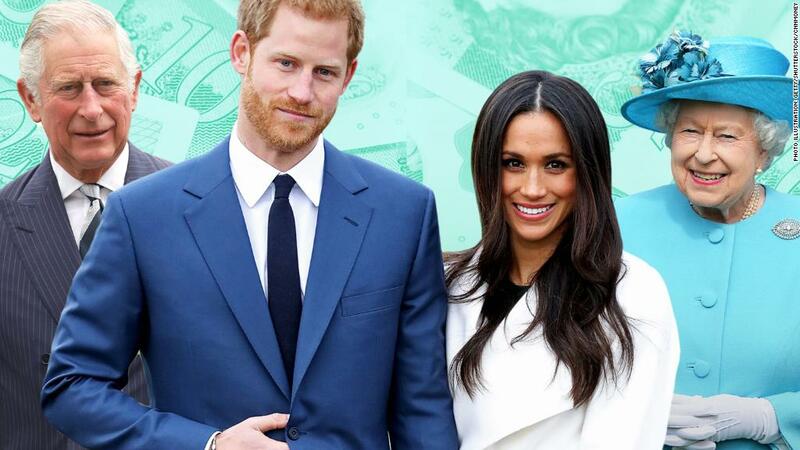 There's clearly an interested audience, with Lifetime's "Harry & Meghan" drawing an estimated 2.2 million viewers on May 12 -- puny, relative to the U.S. population, but according to Nielsen data the year's most-watched cable TV movie. Back when Walt Disney and company gave us "Cinderella," Snow White sang about her prince coming or even when actress Grace Kelly became a princess, there was no basic cable, no 24-hour news networks, no Internet. Obviously, that's changed, which explains why various TV networks are so eager to catch their own version of the bouquet -- even at the risk of nearly being buried under the collective weight of them. Programming note: No royal wedding invitation? Not to worry. You can stream every moment on your mobile phone, laptop, or wherever you get CNN, starting at 5 a.m. ET on Saturday, May 19.